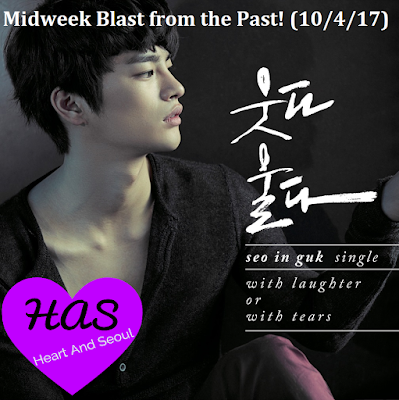 I feel like many people forget that Seo In Guk isn't just the cute actor with the unique eyes from dramas such as 'Reply 1997' or 'Masters Sun'. He's also an amazing ballad singer. This song is my favorite song by him, and rightfully so. There's so much feeling behind this song and the lyrics are so relateable. Admit it, there's been that one breakup you've gone through that left you shattered and broken. Depression, the works. And in order to hide your pain, you tried to pretend you were okay. To not cry, you would smile. This is that feeling in a song. His voice is so.... emotional. This song was perfect for him because he can convey this feeling to the listeners, even if you didn't know Korean. You can just feel the sorrow and heartbreak through his singing.